Families at Bristol Children’s Hospital were let down by over-stretched staff and poor communication, according to an independent review of its cardiac service published today (Thursday 30 June). It also found hospital management had been unnecessarily defensive in response to criticism, which had created an atmosphere of distrust between families and the hospital. The Bristol Review, commissioned by NHS England, was prompted by the unexplained deaths of ten children between 2012 and 2014. All of them had recently had cardiac surgery at Bristol Children’s Hospital. The review found there had been an over-reliance on agency nursing staff, who lacked the skills to deal with such seriously ill children. Time was in short supply too; on occasion nurses were so rushed that parents had to remind them to serve their children meals. Taking evidence from over 200 families, the review found that prior to a Care Quality Commission inspection in 2012, senior managers had no idea there were serious problems in the cardiac service. 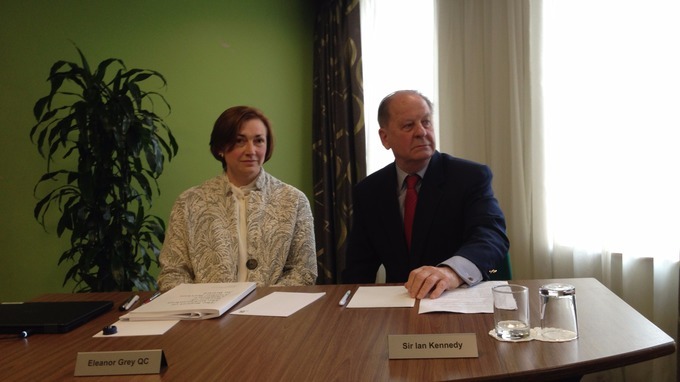 Report author Eleanor Grey QC and consultant adviser Sir Ian Kennedy.